Our 14" Burlap Fabric strides as a high quality fabric ready to be ordered. 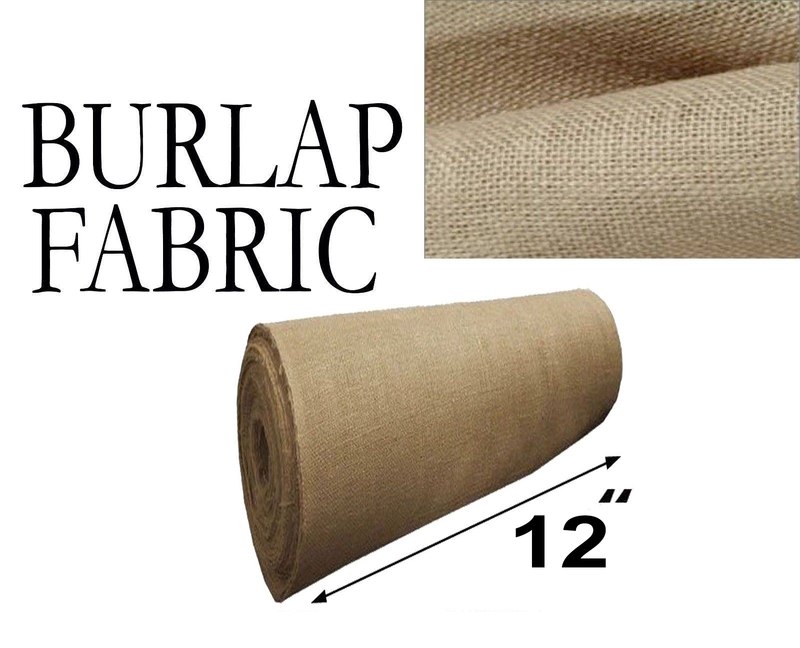 Natural Burlap Fabric is made from the best Jute material. We sell our burlap fabric by the yard and by the bolt. Burlap can have a wide variety of uses but mainly is used for decorative and utilitarian type projects. It is very eco-friendly, odorless, and tightly woven and sanitized to rule out natural oils. Burlap is a strong fabric and easy to work even for beginners. Using our burlap fabric can be used to add an interest to home décor accents, apparels, crafts, coverings, themes, no sew window coverings, and much more. The Burlap we carry is very strong and will not tear when being used for tough projects.